WEST CHESTER, Pa. -- A Pennsylvania man charged with sucker punching a disabled man has sent a letter to a local newspaper complaining that prison guards beat him up. The Daily Local News in West Chester reports Thursday that Barry Robert Baker Jr. sent them a hand-written letter that says the beating left him with a concussion and a separated shoulder. He says one guard hit him while another made sure no one was watching. 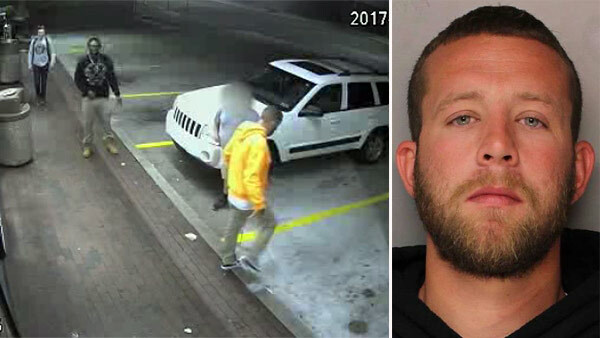 VIDEO: Man with cerebral palsy punched in West Chester. Vernon Odom reports during Action News at 5pm on May 22, 2017. Officials at Chester County Prison told the paper they are investigating. His lawyer says he's aware of the incident. The 29-year-old Baker is accused of punching a man with cerebral palsy in the face after mocking the way the man walked outside a convenience store in May. The attack was caught on video by the store's surveillance camera.